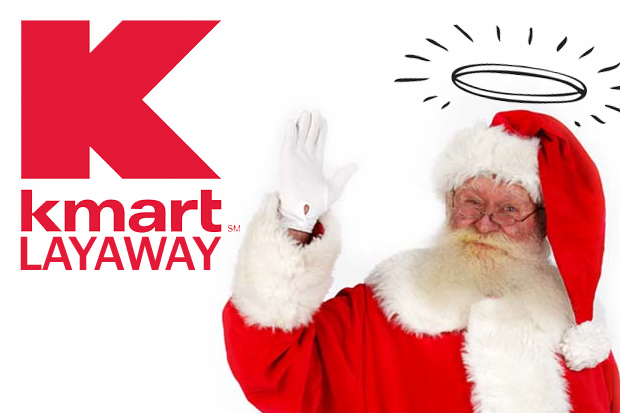 If you have been watching the news for the past few days, you probably saw a story on what they are calling the “Layaway Angels.” It seems that all across the country people are going to their local Kmart and Wal-Mart to pay off peoples layaway accounts. People are shocked when they find out their account has been paid off. What I find interesting is how this story teaches so much about Christ, but many people miss that and say this story reminds them of how we should be “generous” during the Christmas season. I am all for being generous, but we need to realize the Christmas season is so much than just being generous. The “Layaway Angels” remind us of the real reason for Christmas and it is not about be generous. We all are born into this world as sinners (Romans 3:32) and the price we must pay for being a sinner is death (Romans 6:23). The good news, the Gospel, is that Christ came into this world to pay that price for us by dying in our place (Romans 5:8). Not only did He die in our place, but He gave us His righteousness because being righteous, perfect, is the only way to be in relationship with a holy God. Christ, who knew no sin, became sin so that we could be given His righteousness (2 Corinthians 5:21). The theological word for this is impute which basically means that Christ gave us His righteousness as if it were ours. So now we stand justified (“declared righteous”) before God. Just like these “Layaway Angels” paid off the debt of others accounts, Christ paid the debt of our account, a price we could not pay. That is the reason we celebrate Christmas! We celebrate Christmas because Christ came into this world through a virgin so He could live a perfect life and go to the cross for us. Christmas is about the Gospel! If Christ were not born, there would be no cross and no salvation for us. I think it is important to remind ourselves of what Christ did for us as much as possible. So when you hear about the “Layaway Angels” remind yourself of what Christ did for you. He came and paid off your account so you could have a personal relationship with God.